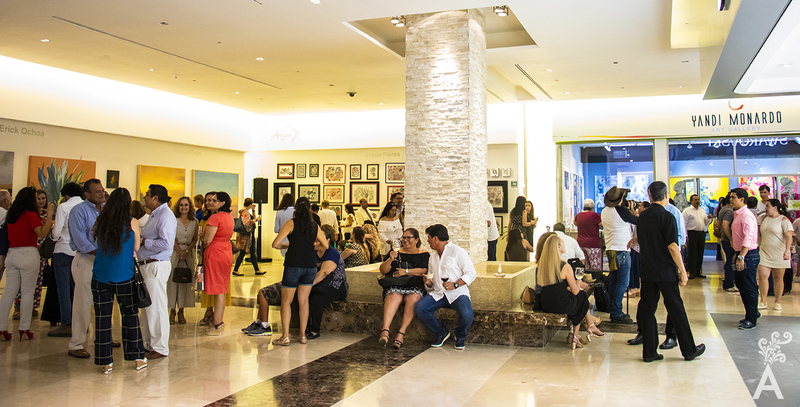 On August 29, 2018, Tendencia Avenue celebrated the XIV art exhibition with the works of seven local artists at the excellent facilities of Luxury Avenue. The artist Yandi Monardo, with great commitment and devotion, structured and collaborated the assembly of each collection. At six o’clock in the afternoon with an introduction the collective exhibition began with supporters who arrived with high expectations, enthusiastic and eager to admire the talent of each one of the artists. Each of them commented about their collection, style, technique, inspiration, dreams, desires and concerns. “Where the waves crash”. Mixed media series inspired by the contradictory landscape of Baja California Sur. Focused on the breaking of the waves and the land of dry colors that is soaked with its waters. These elements make up my palette, dictates the rhythm of my brush strokes. The artist offers us a varied testimony of what can be detached as an act of conscience when we see how the simple utilitarian object has become something more sublime that dignifies the creator, the artist, the communicator. 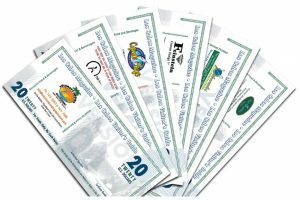 Multiple figures have emerged from the servilletario of Jesús Flores Romero, many messages have been codified, many reasonings have been exposed in fragments of a paper, creating in recent times pictures in the same intention and the same purpose, for the conservation of memory, for make that object have a sublimated meaning of something, “go beyond”, the simple napkin. His abstract paintings stimulate the emotional and spiritual state of the person immediately. One is moved by the composition and the combination of colors. They transmit their energy and influence the spiritual condition of the observer. In this work, with such a habitual image, I try to attract the viewer to every shot and to every detail. And through the composition, color and subject, transmit a moment perhaps of tranquility, freedom or longing. That which is felt in one of the many walks around Todo Santos on sunny days. Octavio Paz said: “Without the spectator there is no art”. I could not agree more. It is important for me that there is an emotional response to my work; for me and for others. If the answer is good or bad, it does not matter. Hopefully, the reaction to my celestial landscapes will give the viewer a moment of escape to a beautiful memory. He uses photography, writing and drawing combined with found objects, even pieces of metal and encaustic. The wax gives you the possibility to work in layers, embedding memory fragments as if you wanted to stop the images in a time capsule. And so we can tell a story that ultimately represents life. The two most important aspects of his work are: The use of his own introspection and his own expressive language to reveal certain universal aspects of humanity and his dedication to the creation of his art. 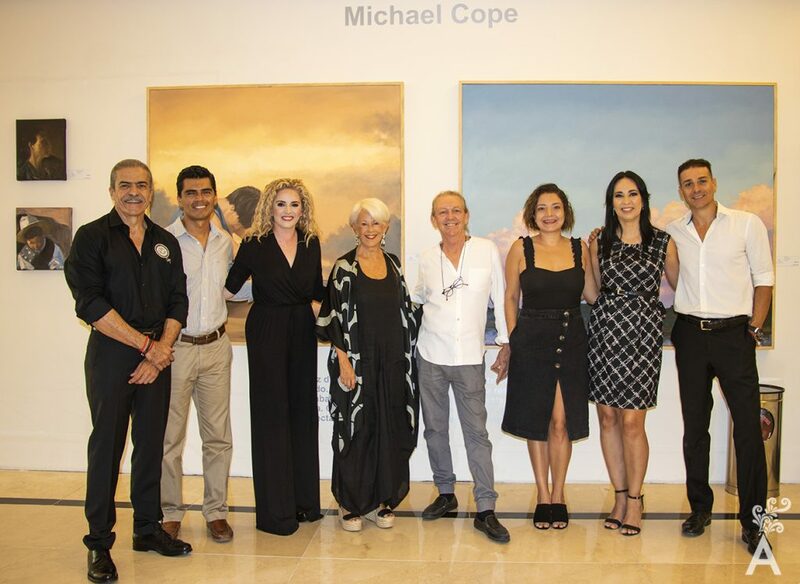 With the valuable support of the media, one by one he was able to obtain the impressions of the artists, the assistants and coordinators of Tendencia Avenue. The exhibition will be open until October 15 of the current year, open to the general public at no cost. 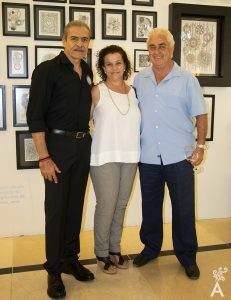 Contributing to the consolidation and strengthening of the cultural identity of Baja California Sur, as well as the strong commitment to generate spaces of art open to the public are the objectives of Tendencia Avenue, a joint project of Luxury Avenue, Trend The Art of Traveling and Yandi Monardo.